Check out our subcellular poster with immunofluorescent images of each organelle! 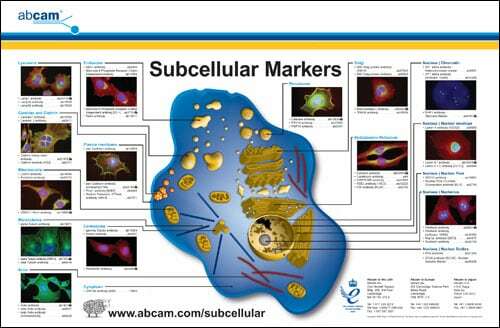 Our new subcellular poster shows our top Subcellular Marker antibodies in action! Check out the great immunofluorescent images for each organelle. All of the images came from our own labs or in a few cases, were submitted by customers. Download the poster now or pick it up at a conference or tradeshow soon!